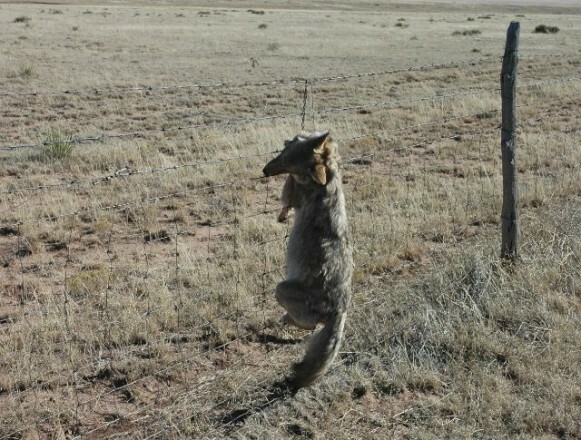 In this photo provided by a former Wildlife Services trapper, a dead coyote hangs in a neck snare in Nevada. Using aerial gunning, traps and poison, the agency frequently kills predators whether they have harmed livestock or not. In the process, it also has mistakenly killed thousands of "non-target" animals, from family pets to federally protected bald and golden eagles. The odds are good you have never heard of a small federal agency that goes by the curious name of Wildlife Services. There’s a reason for that. The agency – which specializes in killing wild animals that threaten agriculture, especially predators – prefers to operate in the shadows. That is a lesson I learned repeatedly while reporting a series of articles about Wildlife Services for The Sacramento Bee in 2012. Even basic information about where species were killed – and with what methods – was closely guarded and accessible only via the Freedom of Information Act. When I asked to observe Wildlife Services’ lethal predator control in action on public land in Nevada, the answer was unequivocal: No. Think about that for a moment: Even the military allows reporters into the field on its missions overseas. Here at home, on land owned by all Americans, Wildlife Services does not. Today, the agency is back in the spotlight again. In late 2013, the U.S. Department of Agriculture’s Office of Inspector General announced that it would audit Wildlife Services. Today, that audit still hasn’t been released. When it will come out and what it will find is anyone’s guess. What is known is that the watchdog agency plans to take a hard look at the agency’s costly, sustained war on predators and the secrecy that surrounds it. That killing is carried out with a vast arsenal of rifles, shotguns, small planes, helicopters, snowmobiles, leg-hold traps, neck snares and sodium cyanide poison. My reporting for the Bee found that it is often done in ways that are indiscriminate, excessive, inhumane and scientifically unsound. Carnivores of all kinds are killed, from bobcats to mountain lions, gray fox to timber wolves. But the primary target is the wily coyote. Since 2000, Wildlife Services has killed more than 1.1 million coyotes, an average of 82,174 a year – or 225 a day. Not only are many animals killed that have never harmed a sheep or cow – coyote pups are even gassed to death in their dens – the collateral damage to other species is high. A list of birds and mammals trapped and poisoned by mistake by Wildlife Services would fill a small field guide: great blue herons, porcupines, river otter, mule deer, pronghorn, snapping turtles, raccoons, family pets, federally protected bald and golden eagles, a wolverine – the list goes on and on. In all, more than 50,000 animals have perished by mistake since 2000 – and former Wildlife Services employees say many victims go unreported. To do its work, the inspector general has asked Wildlife Services for many documents that never have been disclosed publicly, according to a Dec. 5, 2013, letter I have obtained. Perhaps most important is a list of the agency’s “cooperative agreements,” or contracts with ranchers, livestock associations and others with a vested interest in killing wildlife. A half century ago, a prestigious scientific committee headed by UC Berkeley professor A. Starker Leopold – son of the iconic ecologist Aldo Leopold – found much of that contract killing was unnecessary. “It is the unanimous opinion of this Board that control as actually practiced is considerably in excess of the amount that can be justified in terms of total public interest, ” the panel wrote in a 1964 report for Secretary of Interior Stewart Udall. Seven years later, another in-depth government-sanctioned review found that accepting funds from livestock growers raised questions about potential conflicts of interest. “The practical reality is expressed in the old cliché, ‘He who pays the piper calls the tune,’ ” a panel of scientists reported to the Department of Interior and Council on Environmental Quality in 1971. One of the primary goals of the inspector general’s audit is to determine if the agency’s lethal control is “justified and effective.” Does it make sense to spend millions of dollars, year after year, to kill predators that may or may not harm livestock? Why not invest more in nonlethal control? Is it ecologically wise to gun down species that scientists say help keep ecosystems healthy and diverse? One day soon, perhaps, the inspector general’s findings will be made public. For now, there’s nothing for Wildlife Services’ friends and foes to do but watch and wait. This story was edited by Robert Salladay and Andrew Donohue and copy edited by Sheela Kamath.